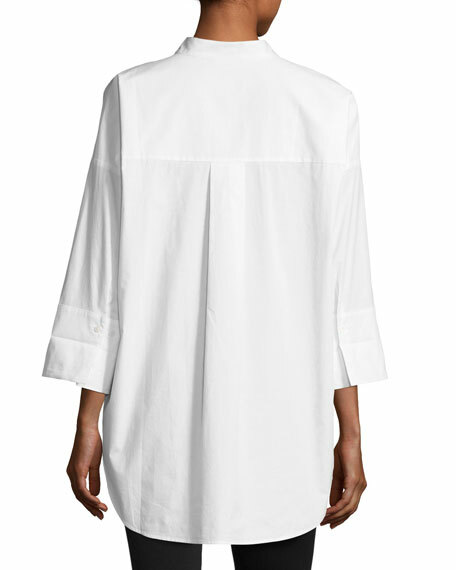 Go Silk oversized stretch-cotton shirt. Three-quarter sleeves; dropped shoulders; wide button cuffs. Box pleat at yoked back shoulders. 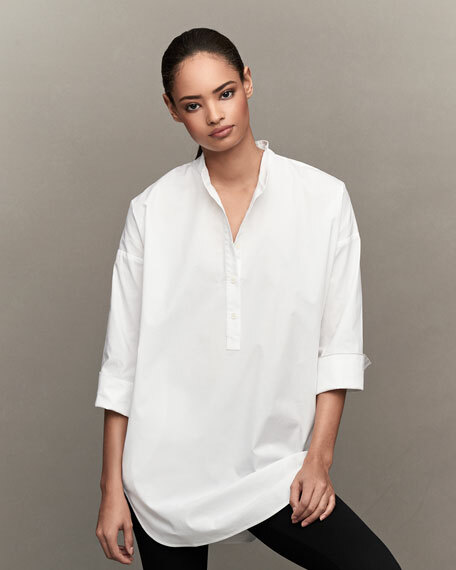 Go Silk is known for its wide range of silk sportswear, especially menswear-inspired shirts for women featuring impeccable attention to detail. The collection today has expanded beyond silk to include linen and cotton. For in-store inquiries, use sku #2085174.